Thank you for visiting our website. 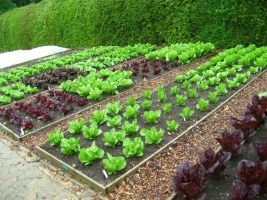 Our Nursery was established in 1992 and we are very proud to be able to grow top quality plants that are suited to our local climate whilst also providing excellent value for money. With over 25 years experience in this business we can guarantee you a wealth of knowledge and practical advice. We go the extra mile to ensure you get the garden you've always wanted. Come and visit us at Sherin's Cross, Kilmallock in County Limerick. You can find details of how to get to us here.